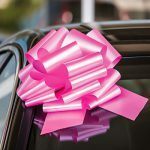 Get 6 colorful pull bows to attach to your vehicles, in the office, or around the dealership to attract attention and perfectly present your vehicles. 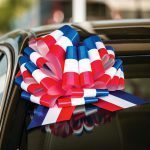 Pull Bows are available in 8 colors: Blue, Red, Silver, White, Gold, Pink, Green, and Red/White/Blue combo. 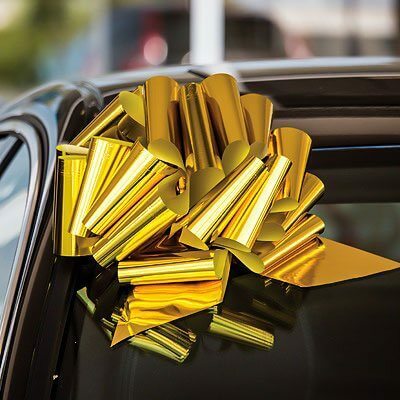 These small Pull Bows are perfect for a wide range of uses in your dealership. 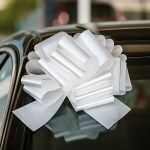 The bows are small enough to highlight details like the price of a car, or you can stick them around your office to make it look more attractive for customers. 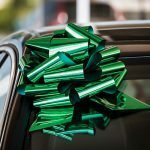 Just choose the colors you want in your six pack (provide your choices in a message if you are combining colors), and when they arrive you simply pull the string and turn them into a bow that can be attached to the included suction cup to be used anywhere you want. 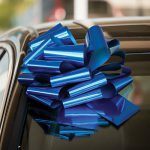 Use these colorful Pull Bows on your vehicles or anywhere else in your dealership to make it more attractive for customers. 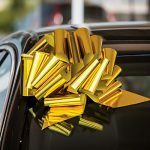 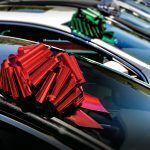 We’ve got a huge range of car bows at our store, including Suction Cup Car Bows, Magnetic Car Bows, Happy Birthday Bows, Graduation Bows, Giant Car Bows, Big Red Car Bows, Color Combination Bows, and more! 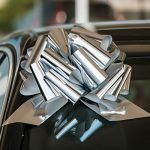 Want your car bow delivered fast? 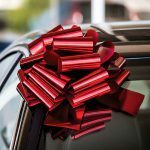 We’ll get it delivered to your door in no more than 5 days wherever you live in the USA.